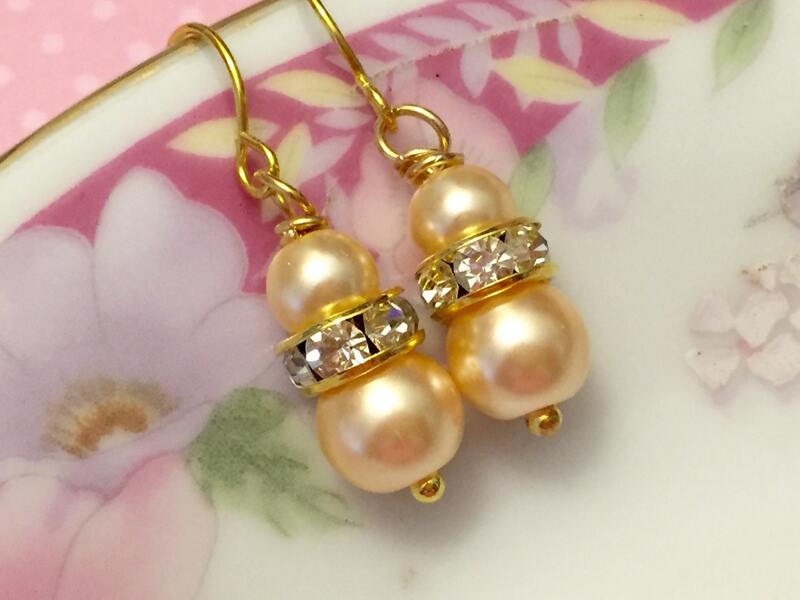 Simple and pretty earrings made with glass pearls and clear rhinestone beads. 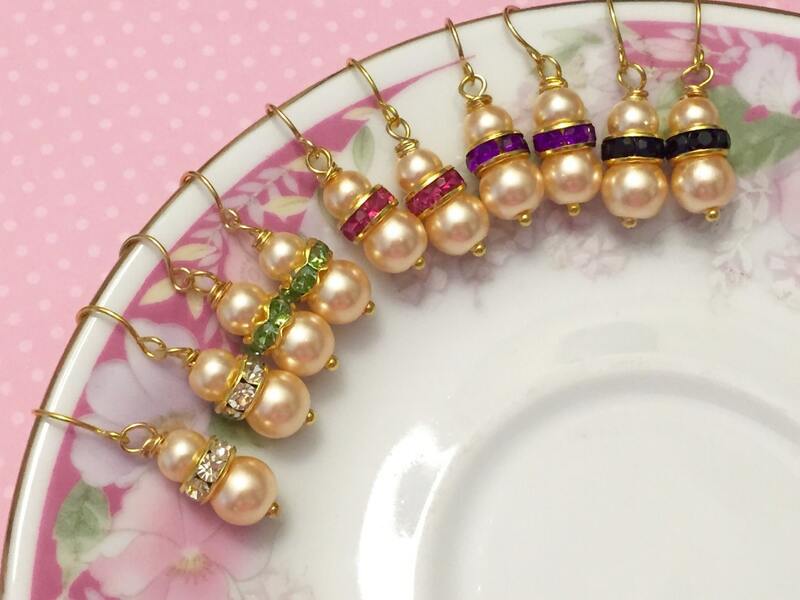 These dangle about 1.25 inches (3.2 cm) from the top of the ear wire to the bottom. I only use surgical steel ear wires.